Sure to get their creative juices flowing, our Gompels Pom Poms Assorted pack can be easily distributed throughout your classroom. This extra large size pack comes in a durable bag which is easily stored when not in use. 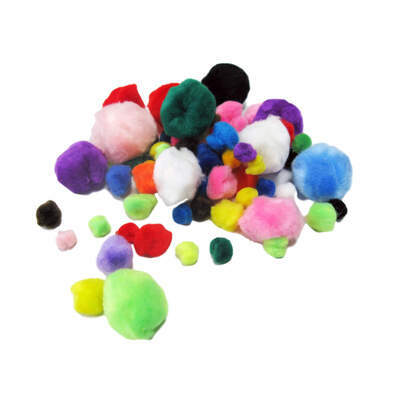 Containing a variety of colour and size pom poms, they are each fully compatible with most glues and can be used on a wide range of tasks. From creating collages through to adding detail on to clothing, this 3-dimensional crafting tool is suitable for all ages with their soft-to-the-touch texture and vibrant colouring. Here at Gompels, our Craft Materials section is packed with engaging and thrilling resources for your class. From A4 Glitter Paper through to our Eyes on a Roll, you'll find everything here and at exceptional wholesale prices.